I've just finished reading a book, "A History of Venice" by John Julius Norwich. It traces the story of Venice from its beginnings to its demise as a Republic at the hands of Napoleon in 1797, focusing on its political and military.The book does a lot to explain the intrigue of this fascinating city, its fading opulence, the extravagance of Carnivale, and its romantic allure. 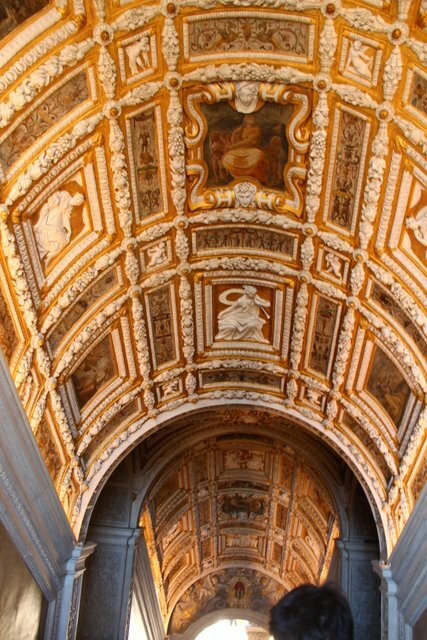 Now, of course, I want to visit it again and explore all the places mentioned in the book. 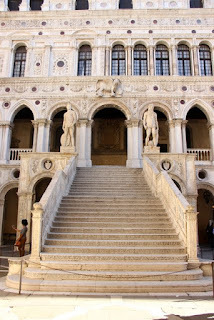 A return visit isn't in the cards right now, though, so I'll have to be content to look through my photos from last fall and enjoy memories of the Doge's Palace. The Doge met visiting dignitaries here at the top of the Stairway of Giants. Flanked by statues of Neptune and Mars, symbols of Venice's superiority on land and at sea, the Doge waited while kings, princes, diplomats and even the Pope climbed the stairs to meet him. 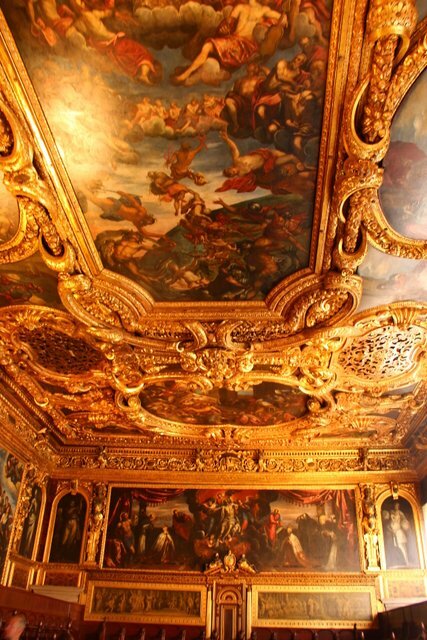 The Golden Staircase above was gilded and embellished to impress anyone who climbed with Venice's wealth. 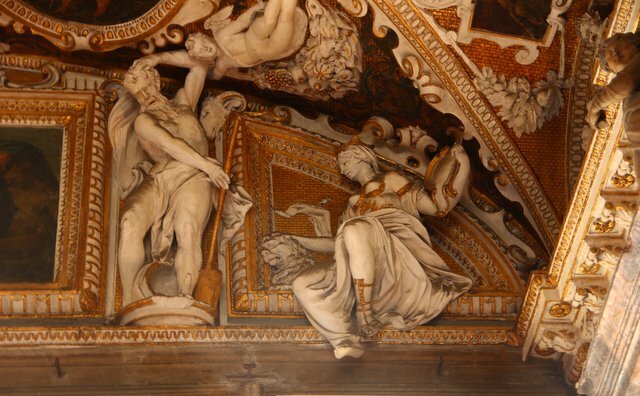 Fabulous painted, carved and gilded ceilings top every room in the vast palace. My favorite parts of the ornate ceilings, though, were the lovely carved sculpture details in the corners.